The glitz and glam is great for the holiday, but a little relaxed look is also needed for the holiday. With so much going on during this holiday season from shopping to holiday parties, sometimes all you want to wear is something casual for during the holiday. Casual looks for the holiday does not necessary have to be boring. Casual outfits can still be fun, vibrant and festive. When thinking about what casual outfit to wear this holiday, think of statement blazers. 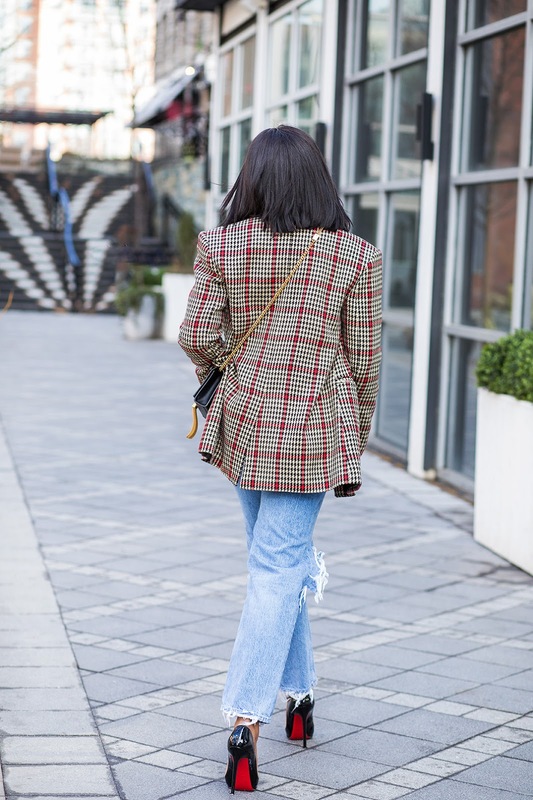 Statement blazers are my go-to pieces to style my casual look. There are so many ways to wear statement blazers for the holiday depending on the occasion. For a relaxed party, go with jeans and festive holiday hue...think emerald green blazer, red velvet blazer or royal blue blazer. 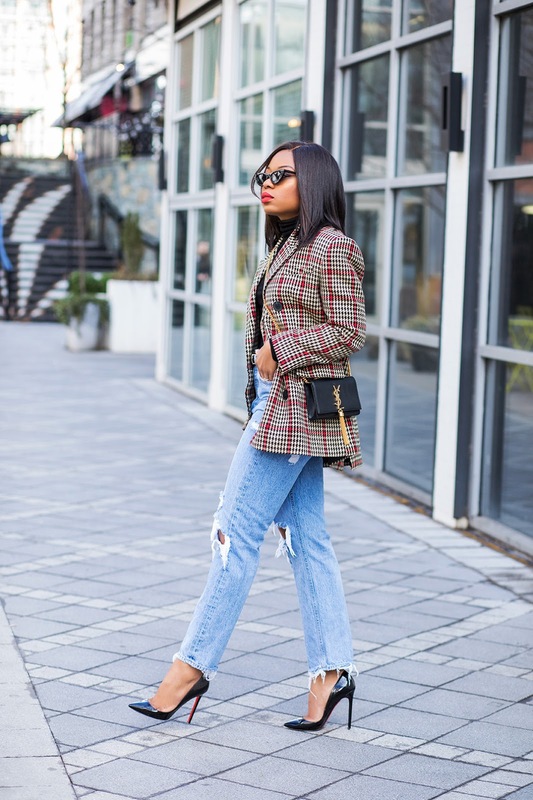 I love pairing my statement blazer with boyfriend jeans for a casual holiday event. 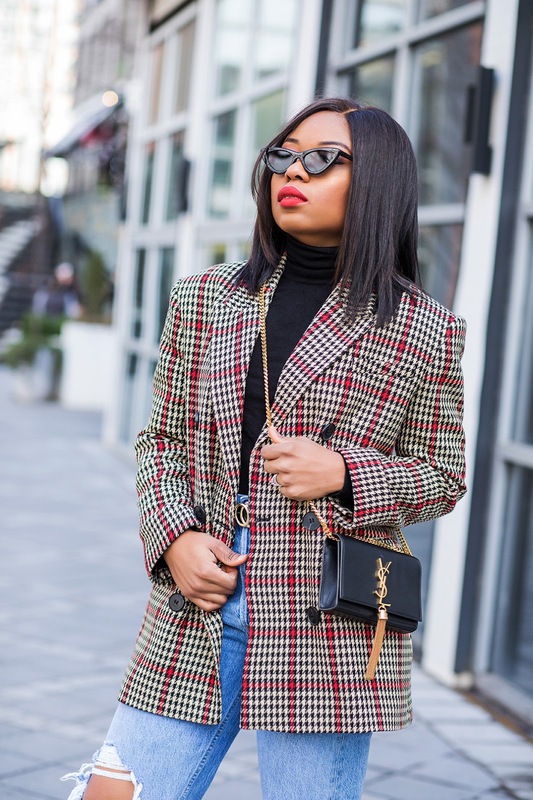 Another way to wear statement blazer for the holiday is by pairing it with tailored pants or printed pants preferably festive prints such as tartan or plaids.